The new Canyon Strive 29 gives the German bike maker a legit entry into the big wheeled enduro market. 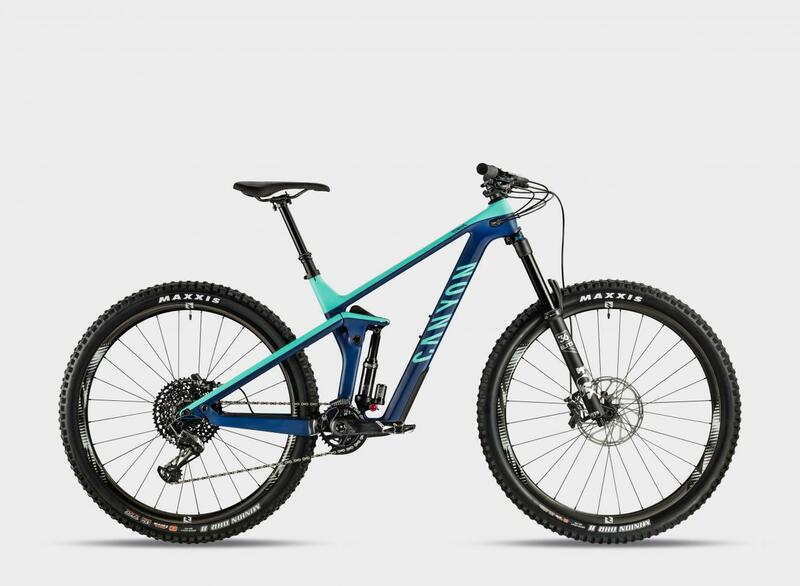 Details of the updated Canyon Strive 29 have just been. Now designed around 29er wheels, this enduro-ready rig marks Canyon’s entry into the long-travel big wheel market, and includes a redesigned Shapeshifter system that changes suspension travel and geometry with the push of a button. In terms of design, the Canyon Strive 29 is in line with many other aggressive 29er trail bikes. The Strive is designed around reduced offset 160mm or 170mm forks, depending on the build, and relies on a Horst-link suspension to deliver 150mm of rear wheel travel. The latest Strive has a more progressive rear suspension than its predecessor that makes it compatible with coil shocks. But no current models will come spec’d with coils, though Canyon didn’t rule out adding coil builds in the future. 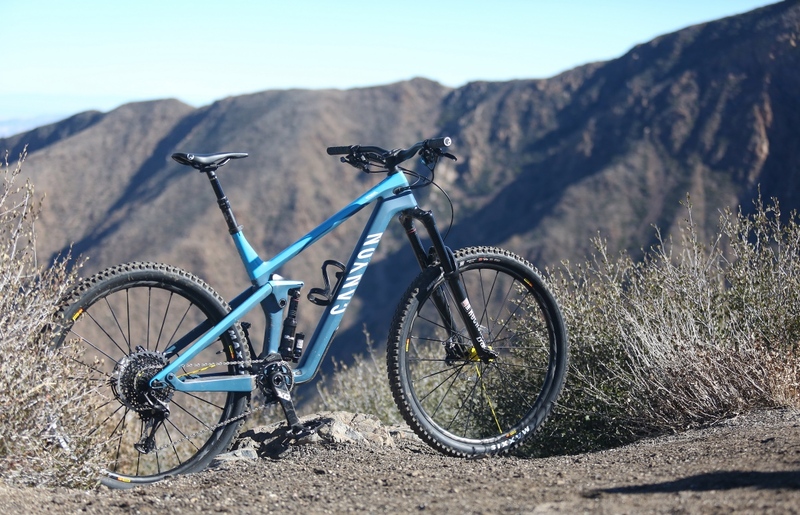 Check out the Mtbr Canyon Strive 29 First Ride Review. The Canyon Strive 29 relies on a Horst-link suspension to deliver 150mm of rear wheel travel. 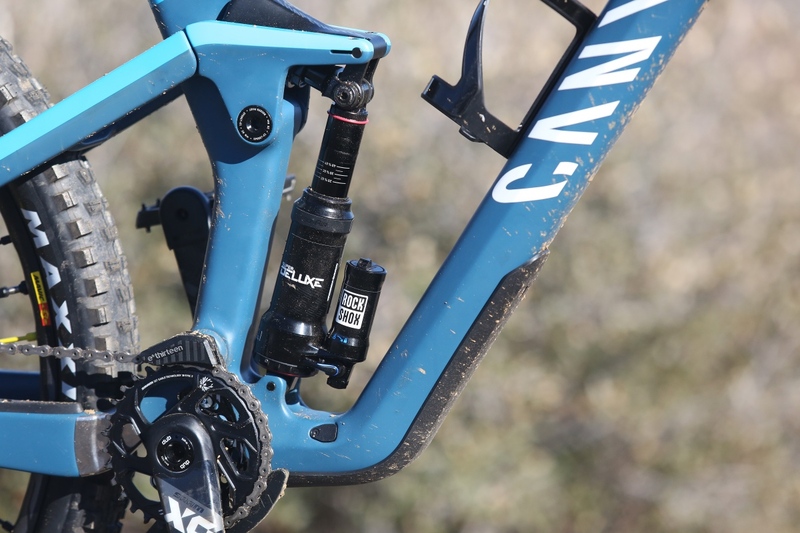 While some manufacturers have transitioned to the 157x12mm “Super Boost” rear axle standard on longer-travel 29ers, Canyon stays the course with 148x12mm Boost axle spacing. The full carbon frame features tube-in-tube internal cable routing. All builds come equipped with chain guides and, last but certainly not least, the Strive features a tried and true threaded bottom bracket shell. The Canyon Strive 29 ushers in an updated Shapeshifter system that adjusts suspension travel and geometry to optimize performance for climbing and descending. 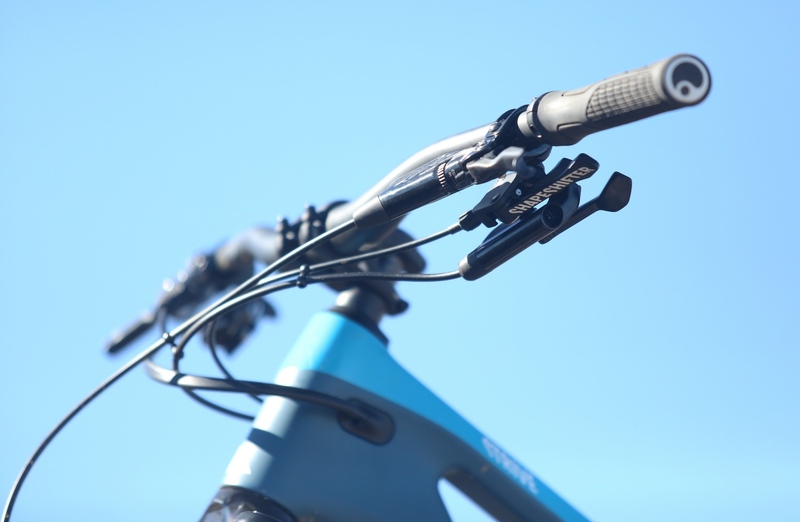 When the handlebar-mounted lever is engaged, the Shapeshifter 2.0 system reduces rear wheel travel from 150 to 135mm. The Canyon Strive 29 Shapeshifter system adjusts suspension travel and geometry to optimize performance for climbing and descending. Head here for a deeper dive on Canyon’s Shapeshifter technology. In addition to reducing suspension travel, Shapeshifter 2.0 raises the bottom bracket by 3mm, steepens the head tube angle from 66- to 67.5-degrees and steepens the seat tube angle from 73.5 to a more climbing friendly 75-degrees. 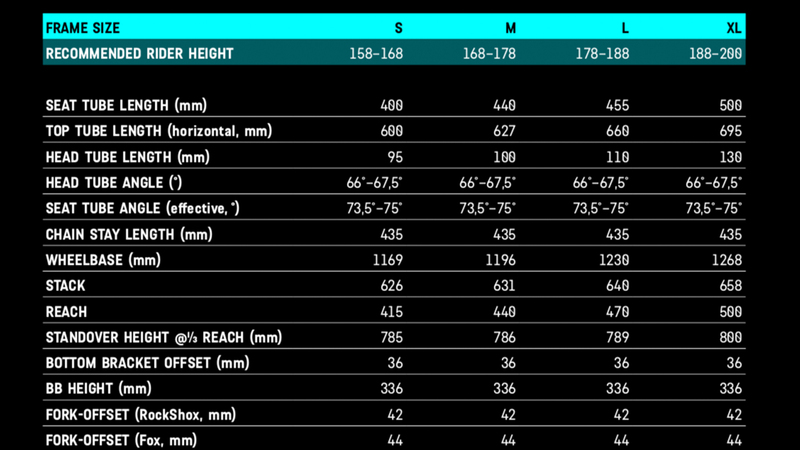 Note that these numbers are for Strive models with 160mm forks. The flagship builds equipped with longer travel 170mm forks will have slightly slacker head and seat tube angles. The Canyon Strive 29 will be available in Europe starting January 17. North American bike buyers will have to wait until early February to get their hands on one. The German consumer-direct brand will bring three complete Strive 29 builds along with a frameset to the U.S. market. Canyon has no plans to build an aluminum version of the Strive. The company does offer two levels of carbon frames, though. The flagship CFR models, along with the frameset, use more high modulus carbon fiber in their construction. According to Canyon, this results in a weight reduction of approximately 300g from the less expensive CF version.